An incomplete guide to right-now’s most talked-about shows, from Netflix to network TV. TV is good. TV is bad. TV rots your brain. TV can change your life. Wherever you stand, TV shows aren't going anywhere. Here's 14 buzzy newish shows (or fresh seasons of old ones) for you to consider digging into now that Big Little Lies is all over. For generations, the crushing frequency of tragedy has, for black Americans, arrived through asphyxiation, equal doses swift and cripplingly slow. A modern understanding of this peculiar American narrative can be found in Shots Fired, a 10-part Fox drama that peels back a slate of injustices that plague one small North Carolina town. Created by partners Gina Prince-Bythewood and Reggie Rock Bythewood, and featuring actors as varied as Sanaa Lathan (the headstrong, single mother DOJ investigator), Helen Hunt (the two-faced governor), Stephan James (the boyishly earnest DOJ prosecutor), and Richard Dreyfus (the money-thirsting business mogul), Shots Fired tackles the most contemporary of horrors: a police shooting of an unarmed citizen. In the Fargo universe — originating with the Coen brothers’ 1996 movie, and extending now into three seasons of TV on FX — certain things are always going to happen. Suckers will get in too deep, death will be gruesome yet banal, some actors will be better at doing a North Dakota accent than others. And yet within that system, great creativity and great humanity arises. The acting troupe of this dark and doomy ABC drama is made up of some of the best in the game — Felicity Huffman, Connor Jessup, Lili Taylor, and Regina King, the last of who’s won two Emmys for her work on the show. 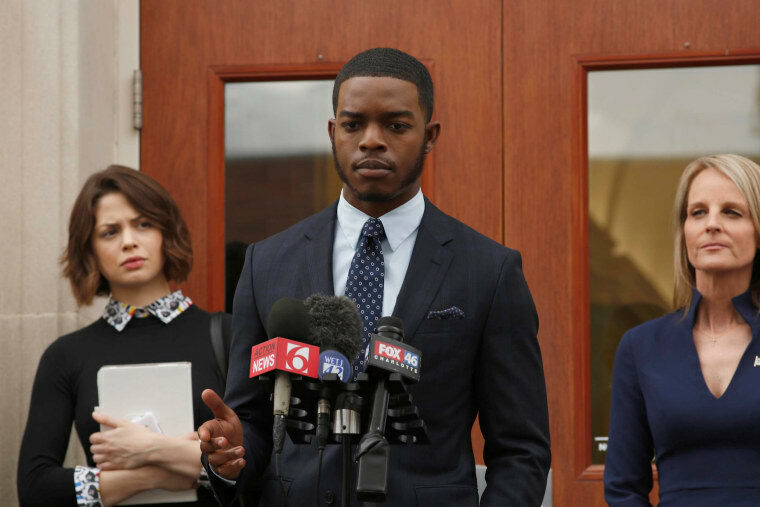 American Crime switches up their usual roles, and stretches them to their limits. I wasn’t going to watch 13 Reasons Why, until a friend told me she was hooked. I was apprehensive about the potential romanticization of suicide, so I dipped my toes gingerly. Based on a popular Young Adult novel, the Netflix drama series is about a girl named Hannah who leaves behind cassette tapes on which she details the bullying, sexual assault, and feelings of isolation that led her to end her life. Crucially, the show’s creators did nothing to tone down the plot’s emotional and physical violence (there’s a reason parents have been up in arms and high schools have issued warnings — it’s not a show for the faint-hearted). It’s also structurally gripping: the events preceding Hannah’s suicide unfold through the perspective of her love interest, Clay. But the narration is all Hannah, who is so much more than just a dead girl; she may be gone, but this is still her story.